Back to the topic, my initial plan was to use fondant for the strips but due to lack of time, I cheated using frosting sheet. 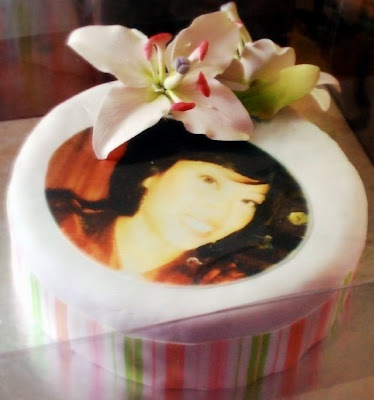 I printed out the design that I want cut it based on the diameter of the cake and have it pasted on the cake. This includes the picture of my future sister in law. This method is nothing new really. 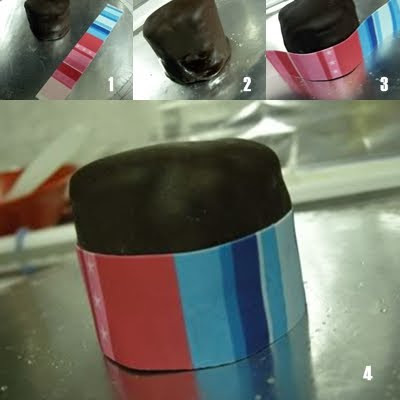 But for everyone's benefit, I did a simple step-by-step photos on how to stick the sheets to the fondant. 4. The end product ! how to make the photos? Awesome Inc. theme. Theme images by carlosalvarez. Powered by Blogger.